The HIMANI studded drop earrings are perfect for a night out. 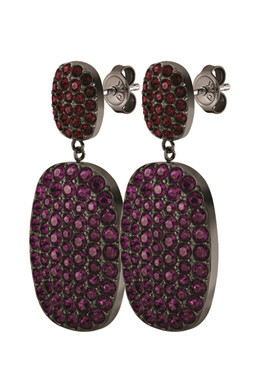 The dark purple facet cut crystals ads a dramatic touch to an otherwise classic design. Made in a darkened silver toned finish with shiny silver closure.